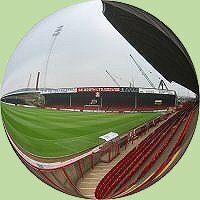 (Previous name - Rotherham County to the end of 1924/25 when they merged with Midland League side Rotherham Town to form Rotherham United (1924/25 Midland League table). The new club continued in the Football League Third Division (North). Rotherham Town were former Football League members (record in League). * Rotherham have been regulars in front of Football League disciplinary commissions over the years. In 2006/07 they had 10 points deducted after going into administration and another 10 points were lost when they went into administration again in 2007/08. In 2008/09 they lost 17 points when leaving administration not to Football League rules while in 2014/15 3 points were deducted for fielding an ineligible player. More details - points deductions.